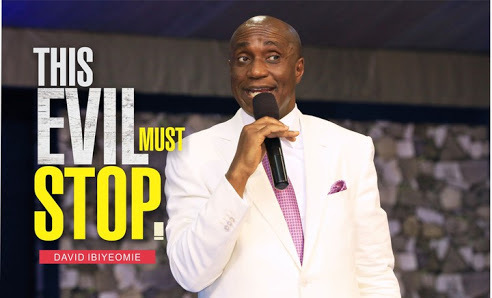 The presiding Pastor of Salvation Ministries Pastor David Ibiyeomie has seriously cautioned Nigerian politicians over the killings in the country by herdsmen. Speaking on Sunday 1st July 2018 during the first service of Salvation Ministries, he expressed sadness over the killings. He unequivocally told Christian politicians who can not speak against the killing of Nigerian Christians in the middle belt to resign, because they have failed to speak for those that voted them into power. He said "politicians thinks of the next election, while statesmen think of the next generation". He went further to bless Nigeria and decreed peace over the land.